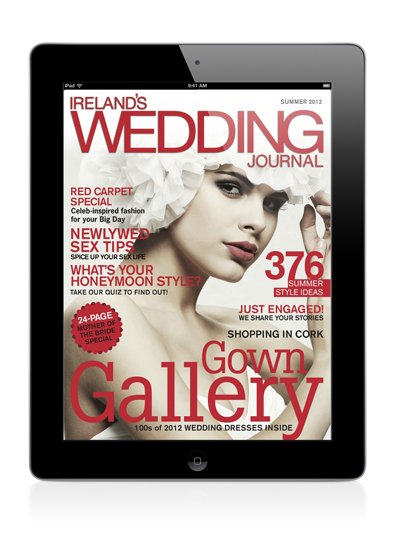 Exact Editions Blog | New to the App store, the biggest selling Bridal Magazine in Ireland – Ireland’s Wedding Journal. The beautiful quarterly Irish wedding magazine, Ireland’s Wedding Journal , is now available to download to your Apple Newsstand, with subscriptions available from Three Months to One Year. Subscriptions include searchable back issues, giving you more ideas than ever for your big day. The latest issue is packed with features to inspire, from gown galleries to themed weddings and Mother of the Bride couture. The App design is simple yet effective, allowing you to flick through the high-definition pages and peruse the latest in bridal design. You can zoom in, take screenshots and tap the live email, web and telephone number links – taking you straight to where you need to go. The app is also fully searchable so you can find exactly what you’re looking for, in an instant.